We’d love to hear your input. Go here to fill out a quick survey and share your thoughts: https://tinyurl.com/eliot-parking. It makes it easier to park on your block or in front of your house since residents aren’t competing with commuters or Blazers fans parking in the area. APPs make the neighborhood safer for pedestrians and cyclists since there are fewer drivers cruising through the neighborhood looking for parking spots. 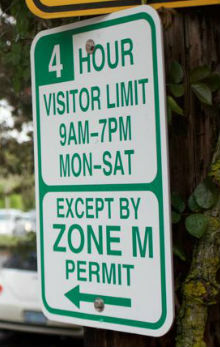 Parking permits will lead to more available on-street parking. When new construction is built, there will be less need for garages, driveways, etc. This drives down the cost of construction and makes more space available for housing. There isn’t a parking shortage in the specified area. The parking shortage isn’t bad enough to warrant paying $60 a year or having to go through the process of getting permits. APPs only help those in the permit area and it makes parking worse for those outside the area.